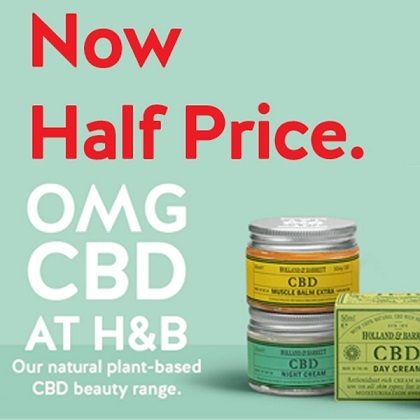 Holland & Barrett’s exciting new CBD Beauty range is now on offer in-store at half price, with prices from £7.49. From tackling oily skin, to fighting fine lines and wrinkles, there's some solid science behind the potential benefits of a CBD beauty regime. The collection includes a Day Cream, Night Cream, Serum and a Muscle Balm. Try it for yourself.